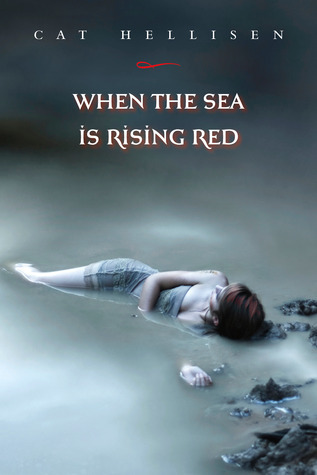 This week's teaser comes from When the sea is rising red written by Cat Hellisen. The third eyelides recede a little and I can just make out the edge of his indigo pupils. "I'll see you then, Felicita." 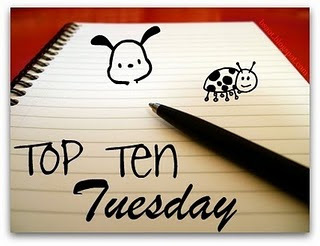 Please share with me your Top Ten or teaser for this week. I would love to know. Tod & Kaylee probably would make it in the real world. I would like them to make it. :) They are cute. :) Great list. Eeeeeeeeee third eye?!?!? WHAT?! That's a crazy sounding creature! Awesome teaser!! Love your list. I've not read them all but I'm glad to see Edward and Bella up there. I'm getting flack for adding them on my list! I love their love story and I really think they'd make it. I also love me some Ettiene and Cricket! I mean, who wouldn't want to spend forever with them?!?! Lola and Cricket! Anna and St Clair! They made it on my list too. They are so great. They definitely would make it! Awesome list! I definitely agree with your choices of Ash & Meghan as well as Patch & Nora. :) Thanks for sharing! Interesting eyes! Very curious about this book!